This week the press and social media have been full of stories about who gets to tell Aboriginal stories and this is a very legitimate concern. Who owns stories, who has the right to tell them, and how are they shared? 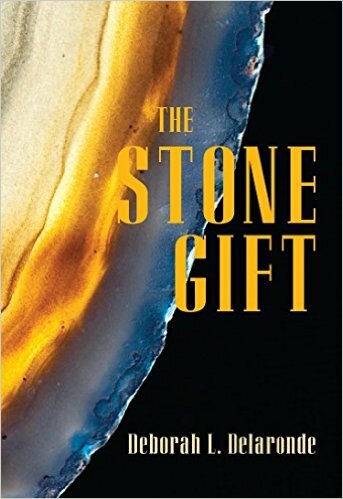 In The Stone Gift, Deborah Delaronde-Falk very capably addresses this very issue in her first YA novel. Many people will know Deborah’s work as an award-winning writer of children’s picture books. Her own Métis heritage is celebrated and shared in her nine story books. In 2015 Deborah was named the first recipient of the Beatrice Mosonier Aboriginal Writer of the Year at the Manitoba Book Awards ceremony. At the Parkland Regional Library, we are glad to have Deborah among our library staff. After a long career at Duck Bay school, Deborah joined us in the public library service at the Winnipegosis Public Library. In her novel, young D.J. awakens from a coma and is unaware of who he is or what has happened to him. Slowly, with the assistance of his grandparents, he begins to piece together who he is and how he came to be where he is. His healing journey will take him through school transition, culture clash, gang initiation, the foster care system, traditional aboriginal knowledge, and even to the adventures of commercial ice fishing. At the heart of the story is a stone: what are its gifts, who has the right to the gift, and who guards the gift? D.J. and his family will have to negotiate all of these questions on his path to healing. Deborah has written a true-in-its-bones story about Métis youth and shares her own wisdom in a generous fashion. This book is a gift in itself from a talented story-teller. We should all look forward to more of her stories!